Ashamed of his family history, Fredrick Frankenstein (Gene Wilder, and it’s pronounced Fronk-un-steen) attempts to distance himself from the work of his infamous grandfather, but finds the pull too great when he inherits the family estate in Transylvania and discovers his ancestor might have been onto something. 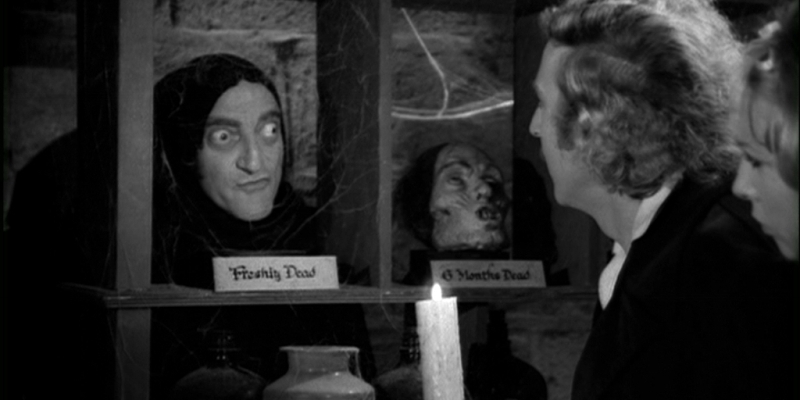 With the help of his sporadically hunchbacked assistant Igor (Marty Feldman), the voluptuous Inga (Teri Garr) and terrifying housekeeper Frau Blücher (Cloris Leachman), young Frankenstein attempts to recreate his grandfather’s work, re-animating a gigantic corpse (Peter Boyle). Johnny Farrell (Glenn Ford) is a small time hustler and card shark, saved from a potentially nasty end by illegal casino owner Ballin Mundson (George Macready), and employed as an enforcer and eventual floor manager after gaining Ballin’s trust. 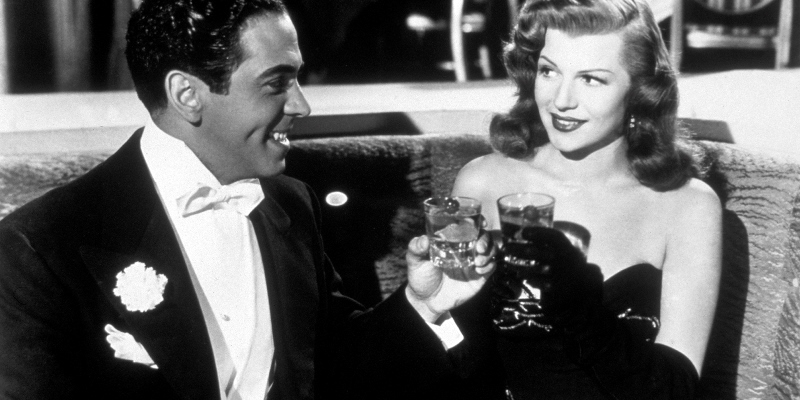 All that might count for nought however, when Ballin returns from a trip with a new wife on his arm, the flirtatious and ravishing Gilda (Rita Hayworth), who Johnny seems to recognise from his past. 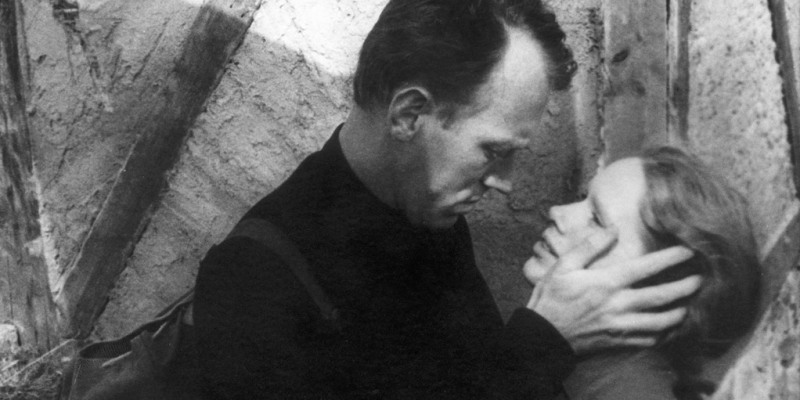 After getting married during a bombing raid in Germany in the midst of World War II, Maria and Hermann Braun (Hanna Schygulla & Klaus Löwitsch) are able to spend half a day and a whole night together, before Hermann returns to the front. Maria faces the struggles of life at home during wartime, surviving with her mother and sister, even in spite of news that Hermann may not be returning. I mentioned a few weeks ago that sometimes you create entirely unexpected correlations between the films you watch. 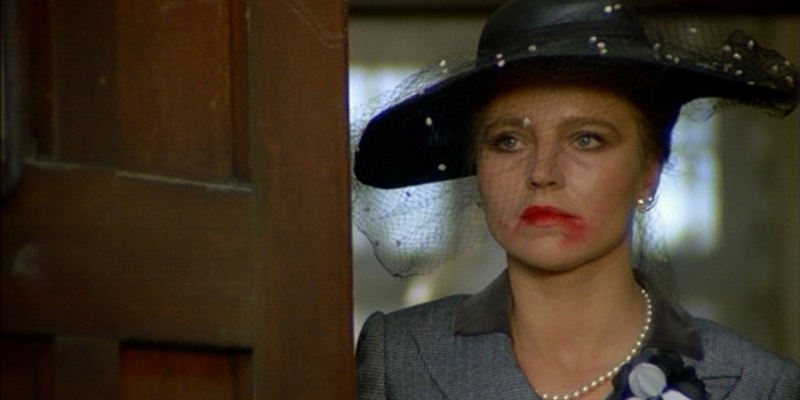 Back then I managed to see a string of films all involving families with many Italian brothers, but this week it’s a much more specific and unexpected relationship between the two films I saw, and the two podcasts subsequently recorded about them. After a couple of months of scheduling conflicts the Lambcast finally got around to recording the podcast for April’s Movie of the Month franchise special on The Godfather trilogy. In the first film, Michael Corleone (Al Pacino) spends some time in Sicily, during which he meets, falls for and marries a girl names Apollonia. Immediately after recording that show I sat down to watch June’s Movie of the Month, Purple Rain. Guess what the name of Prince’s love interest is in that film? You guessed it, Apollonia, as played by Apollonia Kotero. It’s a name I’ve never even heard outside of these films, yet here are two watched and discussed consecutively. Freaky, right?